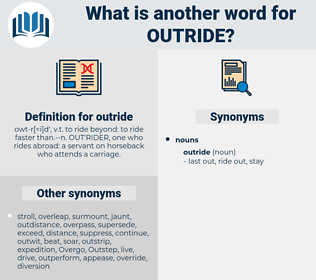 What is another word for outride? owt-r[= i]d', v.t. 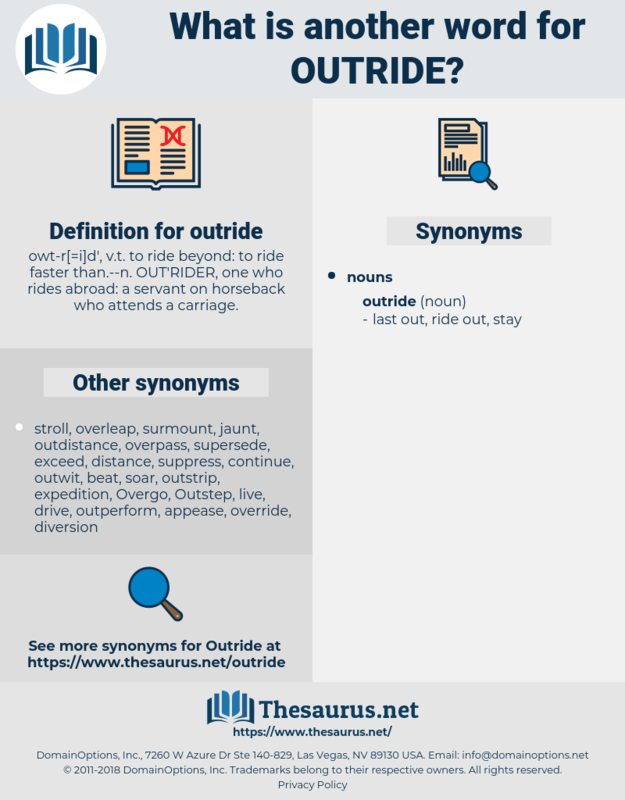 to ride beyond: to ride faster than.-- n. OUT'RIDER, one who rides abroad: a servant on horseback who attends a carriage. No captain could have been more so in regard to his ship, which he fears may not outride a storm. The hope of her being able to outride the storm was all the hope I had of ever reaching shore.